My kids love to make crafts and do projects. 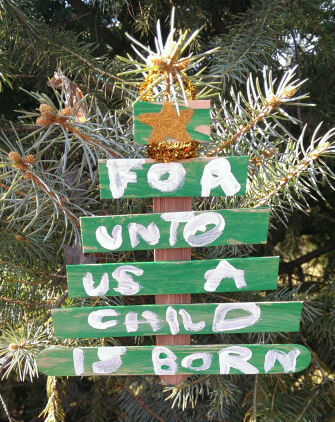 Since we’re focusing on the Christmas story this Advent season, I’ve compiled a list of Nativity crafts for all ages. 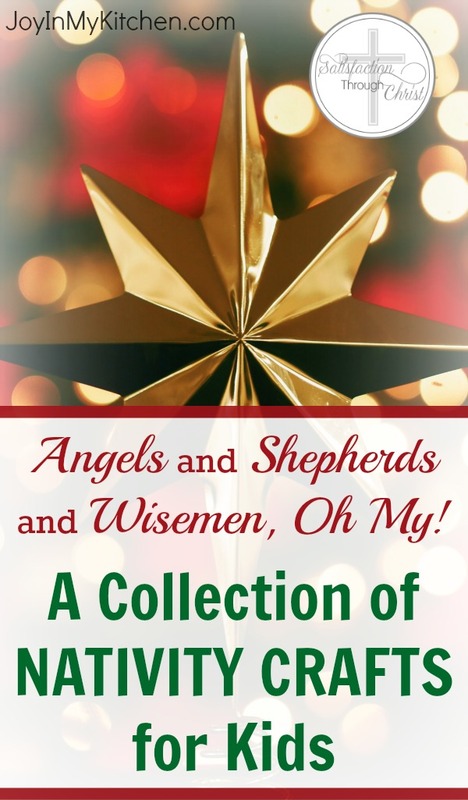 Each one of these depicts characters or a symbol commonly found in the Christmas story. There’s a great variety here, so kids of all sizes can find one that’s age or ability appropriate. Scroll through and find something fun to create with your family. 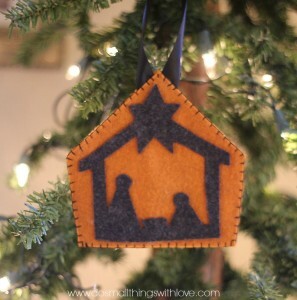 If you’re not a fan of traditional crafts, then maybe you’ll like the Jesus in the Manger cookie at the end. I happen to be partial to that one since it’s one of my few original ideas! 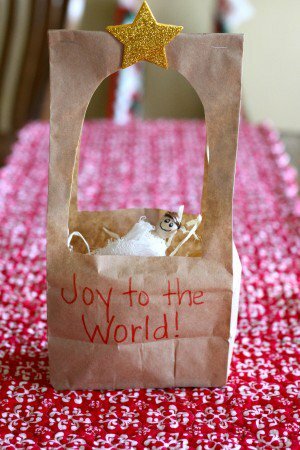 Paper Bag Manger Craft | I Can Teach My Child – make a bed from a paper bag and wrap up the baby! 21 Angel Crafts | Mommy’s Bundle – make one angel or a whole army of heavenly hosts! Choose your style based on the supplies you happen to have on hand. I like the cupcake paper ones. 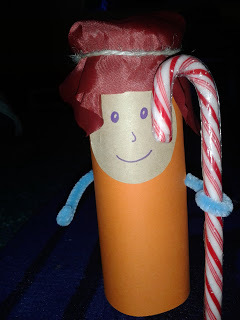 Toilet Paper Wisemen | Intoxicated on Life – look at all the personality these little guys have; they crack me up! 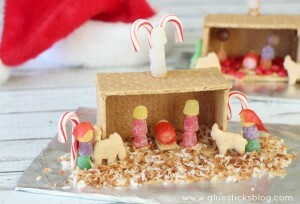 Candy Cane Shepherds | Flame Creative Children’s Ministry – this happy little sheep watcher is sweet too! Handprint Nativity Animals | Planet of the Apels – these are adorable, albeit mess! The camel is my favorite. 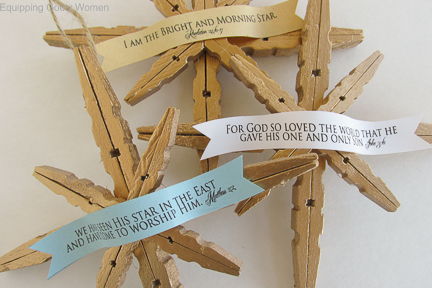 Popsicle Stick Scripture Tree Ornament | Fun at Church – a tree shaped ornament that announces the birth of Jesus. And if you’d rather bake than craft, then these are for you! 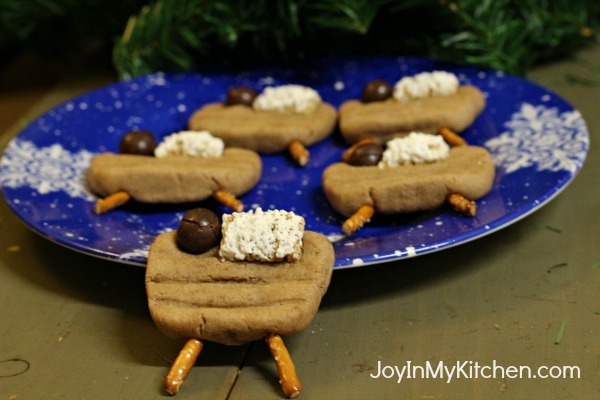 Jesus in the Manger Christmas Cookies | Joy In My Kitchen – bake a simple cookie to remember Immanuel, God who came to be with us. 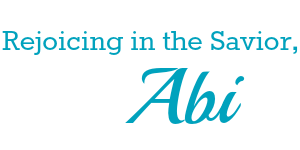 Hi, I'm Abi, an ordinary wife and mom serving an extraordinary God. I spend my days serving my husband and the 5 colorful, noisy kids we've adopted. I'm still learning to delight in the daily challenges God sends my way and am glad to have you join me on that journey. I want you to know that nothing in real-life comes out as neatly and cleanly as it appears to in writing!